SAMCO takes pride in designing systems that solve complex problems while offering maximum performance. During project engineering and design, our engineers use system modeling and three-dimensional CAD to create designs consistent with all project requirements and manufacturing processes. This approach allows engineers, designers, and production staff to visualize the completed design before material is purchased and production labor is expended on a project. This proactive approach ensures maximum quality and eliminates end-of-project mismatches by facilitating exact design calculations and detailed system modeling. This process also helps our engineers with efficient material selection and ordering. Whenever required, SAMCO will call attention to possible design improvements that might impact performance and operating and maintenance expenses. We make these recommendations for both existing operating systems and new systems in the design stage. Value engineering is a service that SAMCO has successfully applied on many projects to reduce cost, enhance performance, and minimize or eliminate risk. 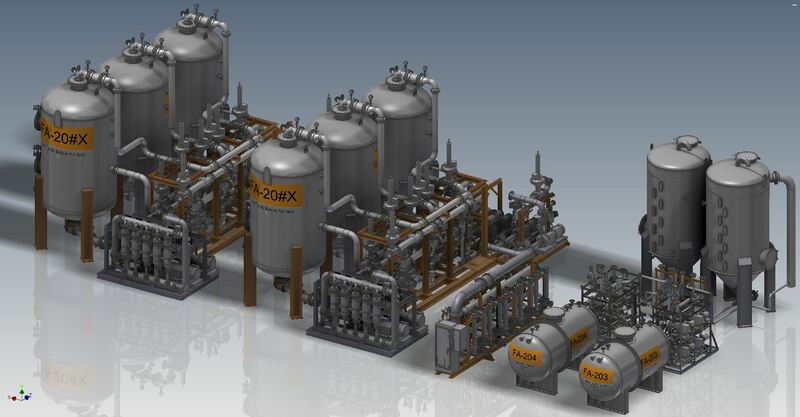 Still have questions about how our detailed design and computer modeling can help streamline your project? Contact us today to set up a call with one of our engineers.